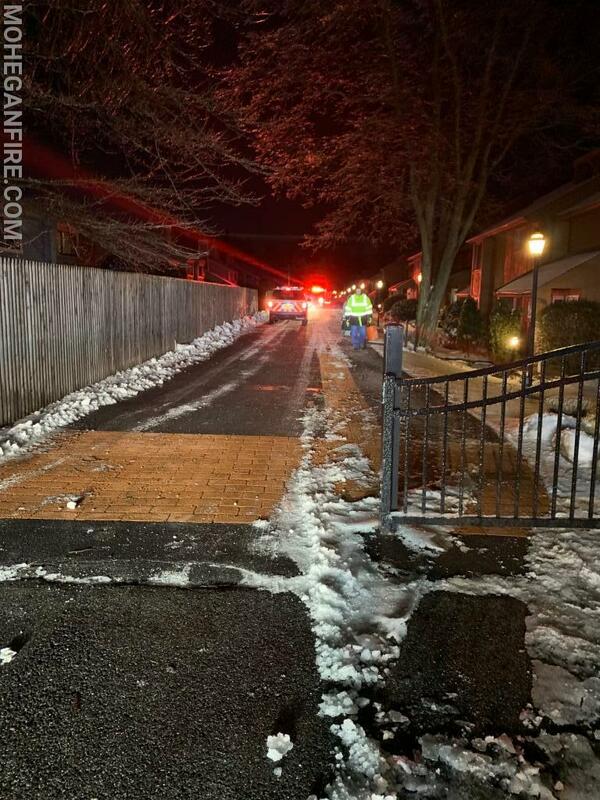 At approximately 6:37pm this evening Sunday 1/20/19 in extreme cold weather and windy weather causing extreme low wind chills, Mohegan FD was dispatched to Panorama Dr in the Lakeside Colony Townhouse Complex in Mohegan Lake for a reported out of control fireplace. 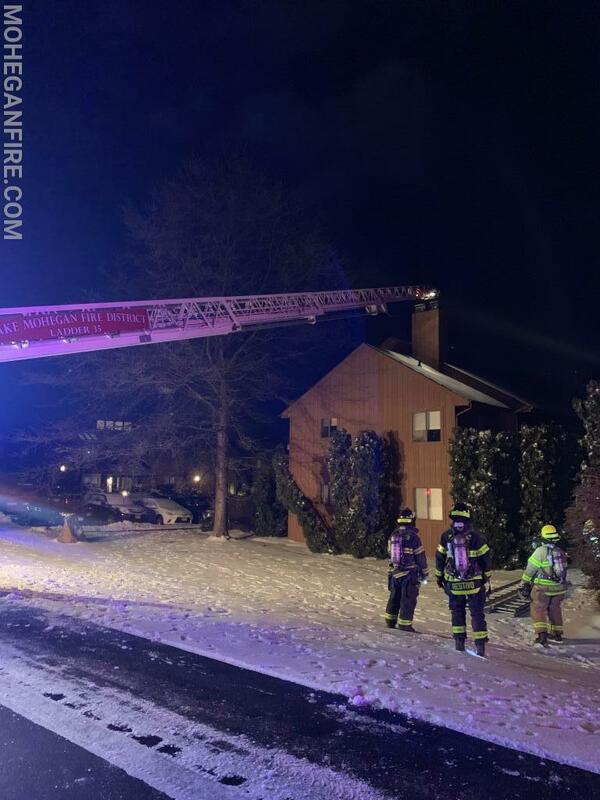 Upon arrival of units, members found an active fire in the fireplace causing a moderate smoke condition in the residence due to the fireplace being overpacked with wood and processed wood causing the fire to grow larger than the fireplace could handle. 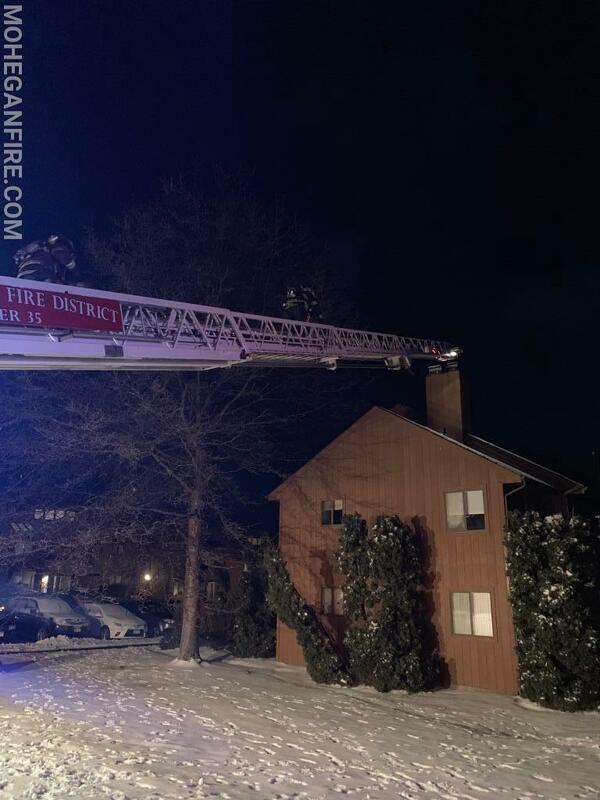 The fire in the fireplace was quickly extinguished using a water can extinguisher, while other members gained access to the fire access road in the complex allowing Ladder 35 and Engine 252 to position closer to the townhouse unit. 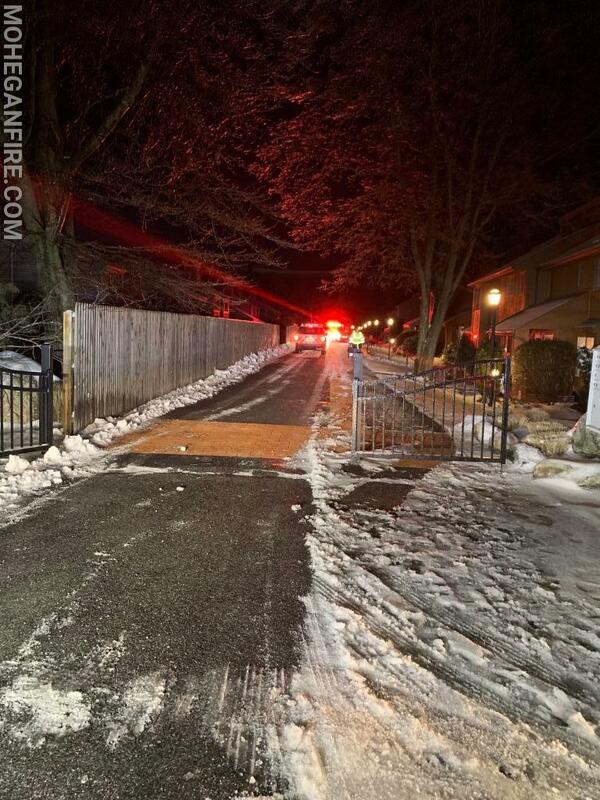 Though the closest gate at the incoming road was found to be replaced and now not wide enough to allow fire apparatus access, both apparatus had to go to the rear of the complex to enter the access road. 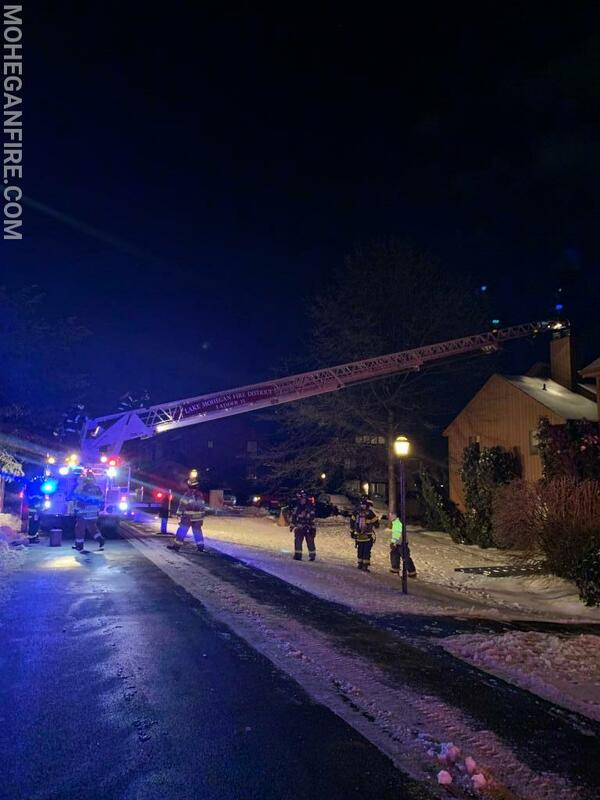 Members then accessed the top of the chimney using Ladder 35’s 105ft aerial ladder which was set up on this access road and also set up exhaust fans to ventilate the residence. No extension was found and all units cleared the scene by 7:30pm. 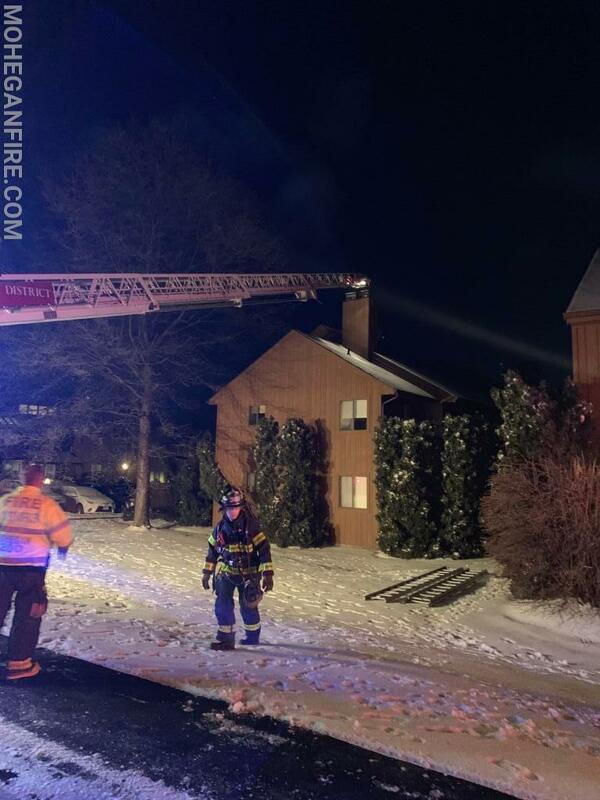 Units operating on scene were Car 2262, 2263, 2265, 2267, Engine 252, Ladder 10, Ladder 35, Rescue 32, and Utility 80. This was the 4th fire/rescue call today. The other fire/rescue calls today included a police assist, oil burner malfunction, and an outside odor of gas.